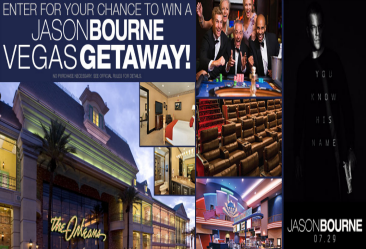 Cinemark Jason Bourne Vegas Getaway Sweepstakes – Win a trip to Las Vegas! ELIGIBILITY – Cinemark Jason Bourne Vegas Getaway Sweepstakes is open only to legal residents of the fifty (50) United States and the District of Columbia who are at least twenty-one (21) years old at the time of entry. SWEEPSTAKES ENTRY PERIOD – The Sweepstakes begins on July 15, 2016 at 12:00 a.m. Eastern Time (“ET”) and ends on August 1, 2016 at 11:59 p.m. ET. PRIZES – ONE (1) GRAND PRIZE: A trip for two (2) (winner and one (1) guest) to Las Vegas, Nevada. Trip package includes round trip, coach-class air transportation for two (2) from a major airport near winner’s home (determined by Sponsor in its sole discretion) to Las Vegas, Nevada; three (3) consecutive nights’ accommodations at the Orleans Hotel and Casino in Las Vegas, Nevada; two (2) movie tickets to see Jason Bourne movie at the Century Orleans theater on Friday, August 12, 2016; a check for $1,000; and travel agent services. Trip must be taken Thursday, August 11, 2016 to Sunday, August 14, 2016 or travel and movie tickets portion of the prize will be forfeited. If winner does not meet all requirements for any portion of the prize, that portion of the prize will be forfeited in its entirety and no additional prize element will be substituted. Approximate Retail Value: $3,185. 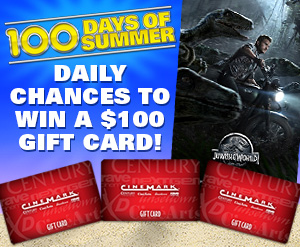 Cinemark’s “100 Days of Summer” Sweepstakes – Win a $1,000 Cinemark gift card! Win a $1,000 Cinemark gift card! ENTRY LIMIT – Limit: Each person/email address may enter one (1) time per Daily Entry Period during the Promotion Period. ELIGIBILITY – Cinemark’s “100 Days of Summer” Sweepstakes is open only to legal residents of the fifty (50) United States (including the District of Columbia) who are at least eighteen (18) years old at the time of entry. SWEEPSTAKES ENTRY PERIOD – The Sweepstakes begins on May 6, 2016 at 12:00 a.m. Eastern Time (“ET”), ends on August 13, 2016 at 11:59 p.m. ET. PRIZES – ONE (1) GRAND PRIZE: A $1,000 Cinemark gift card. Approximate Retail Value (“ARV”): $1,000. ONE HUNDRED (100) DAILY PRIZES (one (1) awarded per Daily Entry Period): A $100 Cinemark gift card. ARV: $100 each. 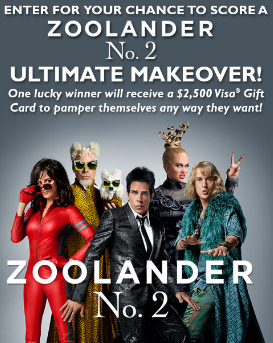 Cinemark Zoolander 2 Makeover Sweepstakes – Win a $2,500 Visa gift card! Win a $2,500 Visa gift card! ENTRY LIMIT – Limit: One (1) entry per household during the Promotion Period. ELIGIBILITY – Cinemark Zoolander 2 Makeover (the “Sweepstakes”) is open only to legal residents of the fifty (50) United States and the District of Columbia who are at least eighteen (18) years old at the time of entry. PRIZES – ONE (1) GRAND PRIZE: A $2,500 Visa® gift card. 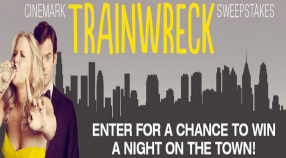 Cinemark Trainwreck Sweepstakes – Win movie tickets & a $500 Visa gift card! 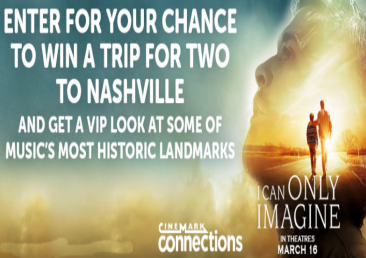 Win 2 Cinemark movie passes and a $500 Visa gift card (10 winners)! ENTER SWEEPSTAKES HERE – Cinemark Facebook page. ENTRY LIMIT – Limit: You may enter one (1) time during the Promotion Period. 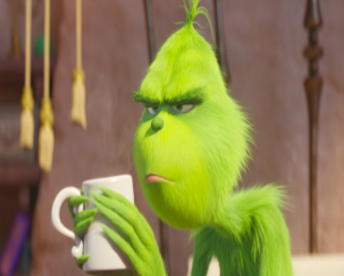 ELIGIBILITY – Cinemark Trainwreck Sweepstakes is open only to legal residents of the fifty (50) United States and the District of Columbia who are at least eighteen (18) years old at the time of entry. SWEEPSTAKES PERIOD – The Sweepstakes begins on July 6, 2015 at 12:00 a.m. Eastern Time (“ET”) and ends on July 27, 2015 at 11:59 p.m. ET. PRIZES – TEN (10) GRAND PRIZES: Two (2) Cinemark movie passes and a $500 Visa® gift card. 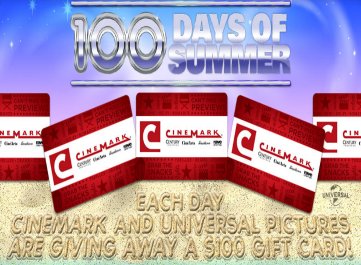 Cinemark and Universal’s “100 Days of Summer” Sweepstakes – Win a $100 Cinemark gift card! Win a $100 Cinemark gift card (100 winners)! ENTRY LIMIT – Limit: Each household may enter one (1) time per Daily Entry Period during the Promotion Period. ELIGIBILITY – Cinemark and Universal’s “100 Days of Summer” Sweepstakes is open only to legal residents of the fifty (50) United States (including the District of Columbia) who are at least eighteen (18) years old at the time of entry. SWEEPSTAKES PERIOD – The Sweepstakes begins on May 15, 2015 at 12:00 a.m. Eastern Time (“ET”), ends on August 22, 2015 at 11:59 p.m. ET. PRIZES – ONE HUNDRED (100) DAILY PRIZES (one (1) per Daily Entry Period): A $100 Cinemark gift card. Approximate Retail Value (“ARV”): $100 (terms and conditions of gift card apply). Cinemark’s Paul Blart Mall Cop 2 Sweepstakes – Win a trip to Las Vegas & more! 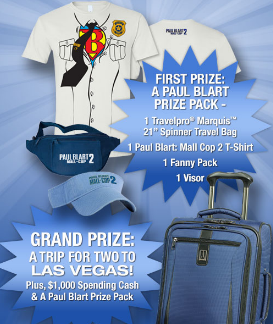 Win a trip for 2 to Las Vegas, $1,000 and a Paul Blart prize pack! ENTRY LIMIT – Limit: Each household may enter one (1) time per Entry Period during the Promotion Period. ELIGIBILITY – Cinemark’s Paul Blart Mall Cop 2 Sweepstakes is open only to legal residents of the fifty (50) United States (including the District of Columbia) who are at least eighteen (18) years old at the time of entry. SWEEPSTAKES PERIOD – The Sweepstakes begins on April 10, 2015 at 12:00 a.m. Eastern Time (“ET”) and ends on April 26, 2015 at 11:59 p.m. ET. PRIZES – ONE (1) GRAND PRIZE: A trip for two (2) to Las Vegas, NV. Trip package includes: Round trip, coach-class air transportation for two (2) from a major airport near winner’s home (determined by Sponsor in its sole discretion) to Las Vegas, NV; three (3) nights’ accommodations at a hotel determined by Sponsor in its sole discretion (single room, double occupancy); a TravelPro™ Marquis 21-inch spinner travel luggage (color and style to be determined by Sponsor in its sole discretion), a Paul Blart Mall Cop 2 branded t-shirt; a Paul Blart Mall Cop 2 branded hat and a Paul Blart Mall Cop 2 branded fanny pack (color and size of t-shirts, hats and fanny packs to be determined by Sponsor in its sole discretion); $1,000 spending money and travel agent services. Winner must complete the trip within one (1) year from the drawing date or prize will be forfeited. Approximate Retail Value: $4,610. THREE (3) FIRST PRIZES: A TravelPro™ Marquis 21-inch spinner travel luggage (color and style to be determined by Sponsor in its sole discretion), a Paul Blart Mall Cop 2 branded t-shirt, a Paul Blart Mall Cop 2 branded hat, and a Paul Blart Mall Cop 2 branded fanny pack (color and size of t-shirt, hat and fanny pack to be determined by Sponsor in its sole discretion). ARV: $410. Cinemark/Furious 7 FORZA Xbox One Giveaway – Win a Furious 7 Xbox One! Win A custom Furious 7 branded Xbox One console! ELIGIBILITY – Cinemark/Furious 7 FORZA Xbox One Giveaway (the “Sweepstakes”) is open only to legal residents of the fifty (50) United States (including the District of Columbia) who are at least eighteen (18) years old at the time of entry. SWEEPSTAKES PERIOD – The Sweepstakes begins on March 13, 2015 at 12:00 a.m. Eastern Time (“ET”) and ends on April 20, 2015 at 11:59 p.m. ET. PRIZES – ONE (1) GRAND PRIZE: A custom Furious 7 branded Xbox One console. Approximate Retail Value (“ARV”): $500. TEN (10) FIRST PRIZES: A Forza Horizon 2 video game for Xbox One. ARV: $60. 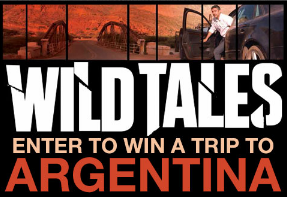 Cinemark’s Wild Tales Sweepstakes – Win a trip to Argentina & more! Win a trip to Argentina! ELIGIBILITY – Cinemark’s Wild Tales Sweepstakes is open only to legal residents of the fifty (50) United States (including the District of Columbia) who are at least twenty one (21) years old at the time of entry. SWEEPSTAKES PERIOD – The Sweepstakes begins on February 27, 2015 at 12:00 a.m. Eastern Time (“ET”) and ends on March 26, 2015 at 11:59 p.m. ET. PRIZES – ONE (1) GRAND PRIZE: Winners choice of a trip for two (2) to Buenos Aires, Argentina or a $2,500 check.